“Un show pas comme les autres” is how the fashion genius Jean-Paul Gaultier described his Fashion Freak Show, which is why we had to go and witness the fiesta for ourselves. An artistic show bringing together the couturier’s famous looks, vibrant music and fierce dance moves of his choice along with cameos by his own friends (think of Catherine Deneuve, Rossy de Palma, Farida Khelfa and many more). His vision is omnipresent from the beginning to the very end. A ticket will transport you onto a festival of glamour and couture, simply an open invitation to the Jean-Paul Gaultier universe. It is a celebration of the uniqueness each person has inside and a loud call to follow the voice within. 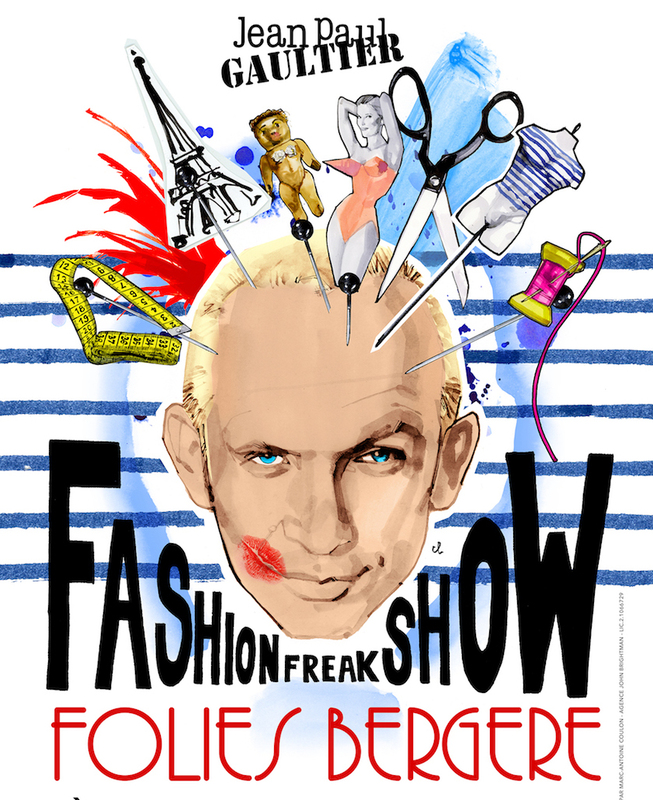 The catwalk and the show aspect of fashion have always fascinated Gaultier. This latest creation is a sculpture of all his childhood dreams and desires brought to life onto the stage of the iconic Folies Bergère theater in Paris. Book your tickets before June 16th here.